The 2008 “Great Recession” was one of the strongest economic corrections since the Great Depression. It bankrupted many businesses, and brought the entire national economy to its knees. However, one investment sector showed enormous resiliency: the self-strorage facility. 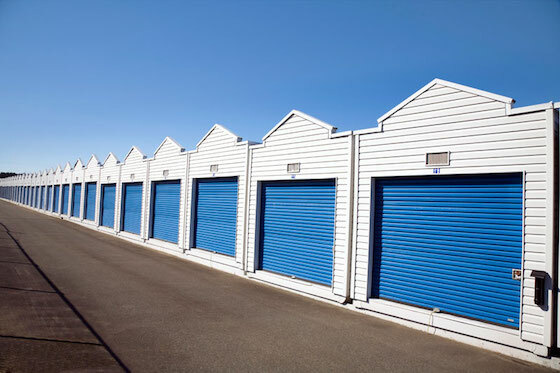 The Great Recession’s benefits to the storage sector are many. There had never been a significant recession in modern times – or at least since self-storage rose to prominence in the 1980s. It had performed well in good times, but nobody was sure what would happen when the boom times ended. Some industry analysts forecasted that poorer Americans would sell what they had accumulated on eBay and cancel their storage agreements immediately. However, that’s not what actually happened. A review of the real net effect appeared in U.S. News and World Report a few years after the Great Recession began: “When the economy slows, people tend to downsize and put their possessions into self-storage, which makes some consider storage a recession-proof investment. In 2011, when stocks were crashing, self-storage was the best-performing real estate investment trust sector with a 35.2 percent total return, according to REIT.com. By flourishing during the Great Recession, self-storage was able to prove the skeptics wrong once and for all. What was established was that self-storage is a necessity and not a luxury: it’s not something that people view as discretionary spending. As the economy lost stability, millions of Americans saw their storage unit as their one piece of safety and control, and they placed their possessions there as they downsized or moved to find new employment. In fact, the Great Recession created so much instability that it actually made nationwide storage occupancy go up instead of down in most markets. This gave self-storage double the power, as it remains strong in both good times and bad. Since real estate investors are always seeking avenues that are not subject to major downside, this new quality created a massive amount of greater investor interest. Since the Great Recession damaged the office, retail, lodging, housing and industrial real estate sectors, it created an environment in which self-storage ranked as having the lowest loan default rate. This made the industry the darling of the lending community, and further enhanced its image as a bullet-proof investment. The Great Recession destroyed many businesses. It ruined many lives. But it was a very positive force for the storage industry. This unique “baptism by fire” yielded a new perception of storage as a safe investment in both good times and bad. Prime Storage Group of Saratoga Springs, New York has just closed on the $94 million purchase of a piece of raw land in Astoria, New York. This is their second large purchase of land for storage development construction within the past 60 days. So what’s going on? New York City – due to high land prices and the fact that the city was built prior to the advent of self-storage – has a huge pent up demand. There is only 50% of the available storage space per person in the New York City area versus all other major U.S. markets. Since land is roughly 30% of total cost of a new storage development, that means that the final development will have cost nearly $300 million – a staggering sum even by New York City standards. Sometimes your dream property is owned by a seller who is less than cordial. You try talking to them about selling but all you get is the cold shoulder. You think it’s a lost cause, but you know the property is too good a target to give up that easily. So you do you break the ice with the grumpy seller? We once had a deal with a grumpy seller, and our repeated phone calls were going nowhere. So we invited this seller to lunch. Although they resisted any discussion of selling their property in the past, they could not decline a simple meal. Remember that many mom & pop sellers are often lonely and wanting some excitement, and the idea of a lunch was enticing. After a lengthy “bonding” session with the seller (“bonding” is simply the creation of a friendship between the buyer and seller) they suddenly changed their mind and began serious discussions about selling their property. It even ended up with them agreeing to carry the financing. But it all began with a lunch. Sometimes you can break the ice by sending the mom & pop owner a small gift. Nothing too expensive or personalized. It could just be a gift certificate to Chili’s, or a flower arrangement or even a box of candy. What happens when you send a gift is that the recipient inherently feels obligated to the giver, and that can often lead to a frank discussion of the concept of selling the property. You would be amazed at the power of the pen. A personalized letter, written by hand, is a very powerful way to break the ice with many sellers. 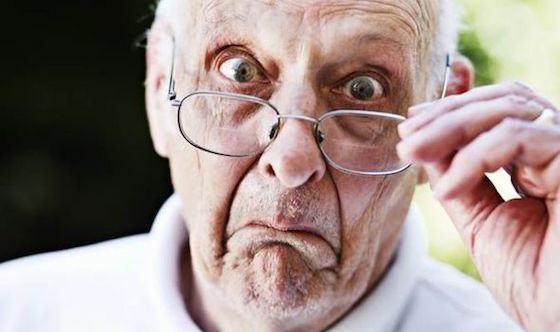 Although they would never admit it, even grumpy sellers are softies deep down, and a heartfelt letter can often melt that otherwise cold persona. 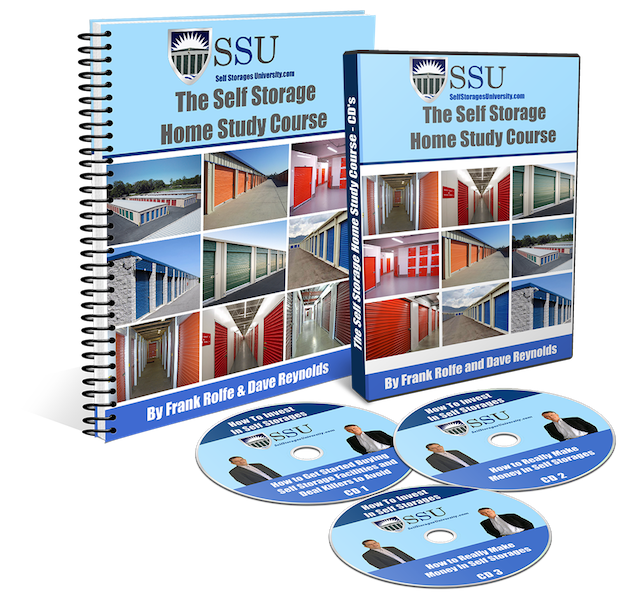 Simply write to them about why you think their storage facility would be a perfect for you, or how much you really want to invest in storage and feel that you would be the perfect person to take the reigns and take everything they’ve built to the next level. One simple way to break the ice with the grumpy seller is approach all discussions from their point of view. If you start a conversation with “I understand that you have spend a lifetime building this asset and the concept of selling it is a very serious topic, but I really think that the timing would be perfect for you …” you get a whole different reaction. Rarely does a buyer approach a seller from their perspective, and it’s a refreshing change. Grumpy sellers can be morphed into friendly sellers with the right handling. These ideas will get you pointed in the right direction. One of the most powerful tools of buying a self-storage facility is the availability of seller financing. This is one of the great benefits of buying from mom & pop owners who were the original builders or early investors is that they have no debt and the ability to carry the paper. But if you go that route, what are the most important points to watch for in seller financed notes? Of course, the most important points of any note are the amount, the interest rate, the amortization length of the debt, the term (when the total amount comes due in a balloon), the due date, and the date the first payment is due. But those are not the subtle items that are equally important but rarely discussed. This is a very important point, as the net effect can be life-changing. In a recourse note, if you default on the payments and the property is sold for a loss at auction, you are personally responsible to come up with the deficiency. In a non-recourse note, if you do the same thing, you have no personal responsibility for the deficiency. If you were extremely unlucky, that loss could be millions of dollars, and you would be fully protected from it with the simple word “non-recourse” on the note. The “cure period” is the time allotted for you to make good on a note payment that is not received. For example, if the payment is due on the first, and you mailed your check but the postman dropped it, you would be in default of the note. The cure period requires the note holder to send you a letter that says “I didn’t get your payment and the note will be in default if not received in X days”, so you can then make everything right again. Without a cure period, you could potentially default on the note and you would never even know it. These are the amounts that can be paid to partially release collateral out of the collateral pool. For example, if the storage facility has some excess land that can’t be expanded onto, you might want the ability to subdivide and sell that land off at the right price. With a release price for the land, you know exactly how much of the sale proceeds you would need to give the note holder. But without it, you have to negotiate it before you can sell the land and, of course, you are in a very weak negotiating position. Seller financing is a great asset. A future buyer might want to also utilize it in the form of an assumption of your existing note. This is only possible if your note allows for assumption. In most notes, if it’s not talked about in the note, you don’t have that ability. Seller financing is a great thing for any self-storage facility purchase. But having the right items in the note can make it even better.